You may have heard the words "You need an SSL" or "Have you got an SSL on that?" in passing and you are probably wondering why this is important so we have prepped this short article to give you the lowdown so you are prepared for the question. There are many benefits but we just want to focus on 3 of these benefits. Let's kick this off with "What Is It?" (If you know this already skip straight down to the top 3 benefits. Most website owners don't really think they need to secure their website. Often they will say "I don't take payments on my website, why do I need one?" - This is a fair point but consider the other types of information you collect, maybe a name, address, email address, personal information etc. This kind of information is passed from your visitor to you and you can be sure that they are relying on your to get that data safely from them to you. Don't forget, the information a user enters on your website doesn't go from them to you directly, it actually hops between hundreds of servers before it gets to you and it is these servers you need to worry about. There may be a few of you in the office and maybe you want to email Sally over in accounts, or Bobby over in distribution an email, if you do not have an SSL certificate in place then this is not secure. If you think that Sally or Bobby have sent you something that is personal to them, maybe they have new bank details or sending a clients banking information then it is vital you have an SSL certificate in place to keep this secure. 3. Think Google & Your Place In Their Search Results. Google announced recently that they will be showing warnings in their Google Chrome browser if your website is not secure, as a result, it will be subsequently demoted in their rankings, this is not magic, the fewer people that visit a website the lower down in the listings you will be. So if you rely on high ranking positions then an SSL Certificate is something you should be seriously considering. 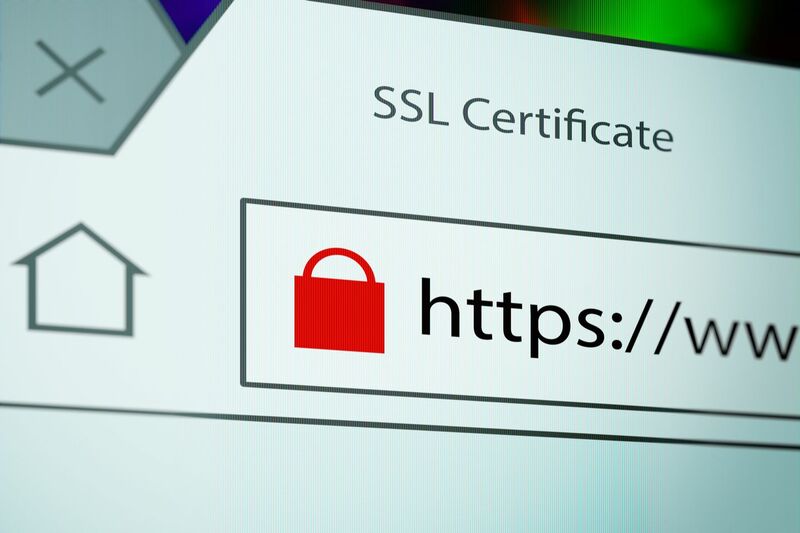 This was a quick post on the benefits of getting an SSL Certificate and hope you enjoyed it. For more information about getting an SSL Certificate please get in touch with Pebble on 01733 902070 or drop us an email via our contact page.